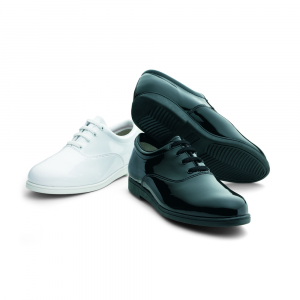 The all-leather upper and countertread rubber sole is the standard by which all others are measured. Medium width. 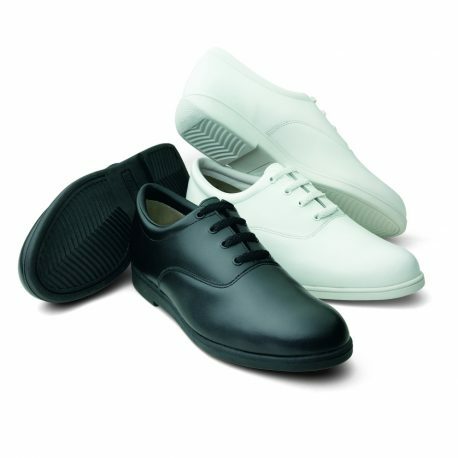 Wide widths available in Men’s 6 1/2 to 11 1/2, 12, 13, 14 and Women’s 8 1/2 to 12 (see order drop downs above). 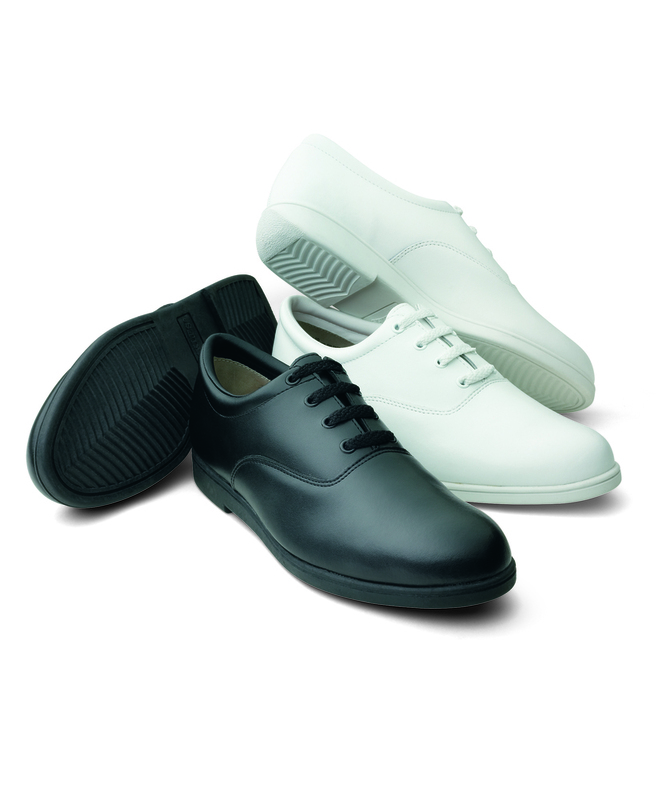 FULL LEATHER UPPER with a microporous finish that allows feet to breathe. It’s scuff resistant, breathable, water-resistant and easily cleaned. Special Rubber Blended (TPR) Sole for superior traction on all surfaces. Cotton Vamp Lining for dryness and comfort. Runner’s Ortho Cup – contours to the foot to cushion every step. 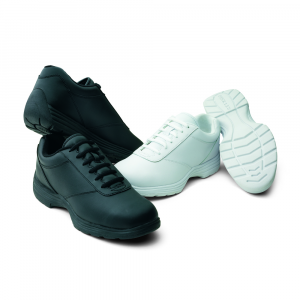 Triad Heel designed for corps-style marching and to eliminate heel wobble.